You might be at that point in your life when you are one hundred percent ready to change your habits and get healthy. Working out is only part of the process, but most certainly not a small part. Maybe you just want to find a workout routine that makes you feel good. Maybe you are hoping to lose a little weight in the process or are really trying to tone your muscles and seriously build up your strength. How do you figure out which moves to try? How do you find the inspiration to get over to the gym and try them? Instagram is a great place to find fitspiration (“fitness inspiration”). Fitness experts love it because it is the perfect platform to post photos and videos of their moves and routines to followers without having to worry about high production value (it’s as simple as downloading the app and snapping a photo or video). Those looking to be inspired love it because, by following even only a few fitness experts, there are dozens of inspirational photos and videos to motivate them to work out. 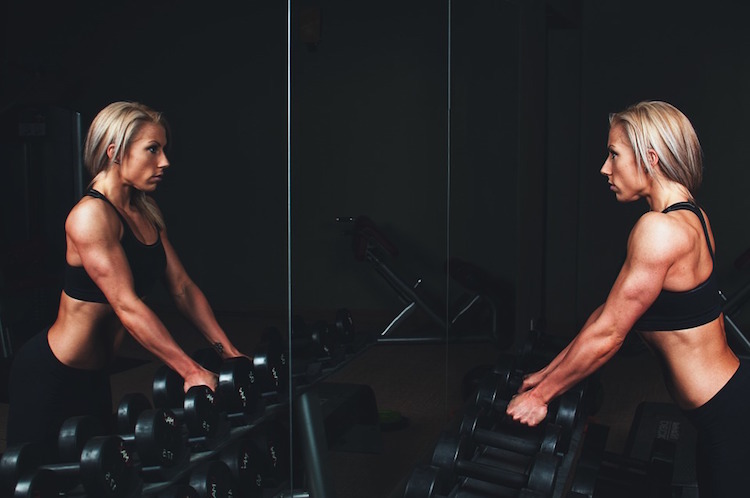 Here are 10 fitness experts to follow on Instagram and the kind of expertise and inspiration they frequently offer their followers. Your definition of fit and healthy might need some renovation. If you are looking for inspiration to build up your strength and confidence, follow Jessi Kneeland. She is a speaker, strength coach and the founder of Remodel Fitness. Her feed will fill your head with body-positive images of what it means to focus on strength when dedicating your life to fitness and well-being. Want to work out like a real life champion? Follow four-time world champion downhill skier Lindsey Vonn to see how it’s done. She’s not only an athlete, but an expert, too, bringing you inspiration and tutorials in both pictures and videos (and sometimes her dog makes an appearance). See how a world champion trains and travels both on and off the ski slopes. Have you always wanted to try yoga, but just can’t ever seem to be able to do the moves the way the experts do them? Trainer and yogi Megan Joy doesn’t just want to show you yoga poses (though she will, and frequently): she wants to show you how even the most complex moves are done. She breaks poses down step by step to help you master them and improve your strength and flexibility. Maybe you need some serious fitness inspiration but aren’t into the stereotypical “strong and mighty” attitude. Writer and former rugby player Jen Sinkler can show you how to be strong and fit with an ever present smile. She shows off a wide variety of shots, including inspirational memes when you are just not in the mood to see another photo of someone totally killing it at the gym early on a Monday morning. Looking for some extra inspiration to hit the gym hard this spring? Curtis Williams, former Baltimore Ravens NFL player, current Under Armour Performance Center fitness director and sports performance coach, has exactly what you are looking for. His feed is filled with snapshots of muscle-building workouts for you to scroll through when you are trying to talk yourself out of skipping your workout. You don’t have to be a professional to want to get fit, but learning from a professional is still a possibility. For Michelle Wie, staying fit is about more than just keeping up a good performance on the golf course. This professional golfer wants to show you how to get fit and help you master the right moves, whether your fitness accessory is a golf club, a running shoe or hand weights. All you wannabe distance runners out there, listen up. Nobody ever said running was easy, but that is no excuse for not trying. Robin Arzon is a personal trainer, spin instructor and running coach. Once you follow her feed, you will have no choice but to lace up your running shoes and hit the pavement. She believes you can do it, and it’s going to get pretty hard not to take her seriously once you see what she’s made of (mostly muscle and attitude). You won’t believe these moves … or this adorable bulldog. California trainer Hunter Cook has all the moves you are looking for to gradually build up your strength, endurance and flexibility. His feed is filled with a variety of photos, everything from his own poses to group fitness classes and more, so when you follow him, you don’t have to worry about seeing different variations of the same pictures and poses over and over again. Professional wrestler, actor and producer Dwayne “The Rock” Johnson’s Instagram feed is filled with inspiration for success in more ways than one, but his workout photos are worth the follow. Whether you are hoping to build some serious muscle or just need another reason to roll out of bed and sprint straight to the gym, this fitness fanatic knows what he’s doing, and does it well. Even if you aren’t a runner, taking a few fitness pointers from an Olympian doesn’t sound like a bad idea. Allyson Felix, Olympic gold medalist and two-time silver medalist can sprint faster than you, but running isn’t just in the legs. Her feed will show you how to keep your whole body fit, whether you’re hoping to run as fast as her someday (maybe) or you just want to tone up your muscles for swimsuit season. Following fitness experts on Instagram is effective because you know they aren’t just giving out tips and posting photos to get attention. They actually know what they are doing and can offer safe and worthwhile tips for those looking to level up their physical fitness. Many of them are certified and have been doing this for a long time. You can be just as successful as they are. Sometimes, it all starts with a simple follow.